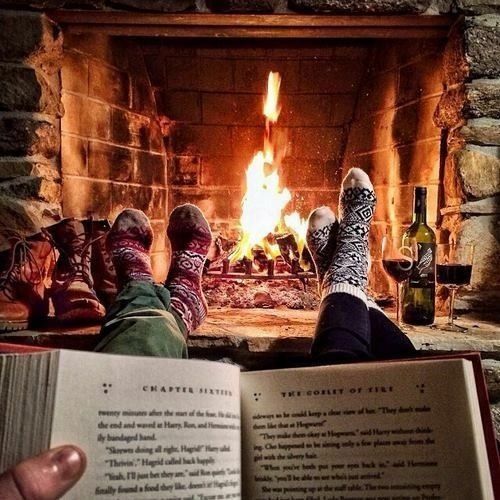 Post in the comments below telling me about your favorite ways to curl up with a good book. Where’s your favorite place to read? What type of books or specific titles are your go-to’s when you’re trying to escape from your own grown-up responsibilities? One lucky commenter will win an Amazon Gift Card! ~ Terms & Conditions ~ Giveaway ends Saturday 11/19/16 11:59pm Eastern Time. Winners will be chosen at random and contacted by Monday 11/20/16. Winners have **48 hours** to respond before a new winner is selected. Open to **US residents only** and is void in any state, county, city, municipality, or any other area where it may be prohibited or in any area where our rules do not meet the local laws regulating contests and giveaways. Bookish Devices is not responsible for misdirected or lost prizes, emails, entries, Facebook messages, tweets, and/or any other forms of communication. Please note that Facebook, Twitter, WordPress, Instagram, Litsy, Amazon, and any other businesses or companies are not responsible for fulfilling the prizes unless otherwise noted above. This giveaway is in no way sponsored, endorsed, administered by, or associated with Facebook, Twitter, WordPress, Instagram, Amazon, or any other company unless noted above. You understand that you are providing your information to Bookish Devices for purposes of this giveaway only. By entering, you give Bookish Devices the right to use your name, social media handles, and any personal identifiers used in a giveaway entry to announce your status as a prize winner, if applicable and, should you win, to share that information with the company providing the prize. Bookish Devices respects your privacy. We do not share or sell information and will use any information given only for the purposes of announcing or contacting the winner and/or sending the prize. I love audio books. I’m able to enjoy a book while cleaning, cooking , ironing, taking a walk or driving That’s not really relaxing to most but for a book nerd it’s a treat. I’m listening to Harry Potter And The Chamber of Secrets this week. The narration I should magical. When it’s time to read my Kindle I’m either in my den with my two dogs Duke and Lady for company or reading in bed with my dog Lady close by. Right now I’m enjoying a Pepsi max but I would love to have a caramel mocha skinny frappacino. CONGRATULATIONS TERI! You’re the lucky gift card winner! Please send your email address to jess@bookishdevices.com so I can send you your gift card. I like to read very early in the morning before I start my day, around 4:30/5:00 a.m., with a French press black coffee, only Columbian bean. Reading “A Man Called Ove” right now; I like stories about quirky, unusual personalities that experience a journey or change.